Beginning on Monday, September 28th, we are asking parents to send their boxtops to school with their child. Collection sheets on which to put the boxtops were sent home in students' folders on Wednesday, September 23rd. If parents need more sheets, they should ask their child to let their classroom teacher know and more sheets will be sent home. Twice each year, our school has a opportunity to send in these boxtops in exchange for money. Each boxtop is worth $.10. The money is used to purchase playground equipment and to pay for activities for our students. To encourage parents to help our school with this collection, we have a contest between classes to see which class can collect the most boxtops. The winner of the collection is rewarded with a pizza party. This semester's contest begin on Monday, September 28th and ends on October 30th. Thank you for helping Chadron Primary earn money for our students. Chadron Primary Students welcomed some special guests on Friday, September 18th. Jessica Orose, Student CSC Alumni Council President, and Elmo the Eagle, CSC's mascot, arrived during the students' lunchtime to tell them about the Homecoming coloring contest. Students took home the coloring sheets and were asked to bring them back to school no later than Monday, September 28th. Leslie Bargen, CSC's Alumni and Foundation Development Officer, announced that there will be three winners from each grade level at Chadron Primary. The winners will be given a T-shirt and have the opportunity to ride on a float with Elmo in the Homecoming Parade on October 10th. Parents will be notified by phone if their child's coloring sheet is chosen. Students and staff at Chadron Primary joined the many students around the United States who observed September 11th at 11:00 A.M. in their time zone. The Primary students and staff gathered around the flagpole to recite the Pledge of Allegiance and to sing the National Anthem. Prior to leading the staff and students in the pledge and the sing along, Mrs. Chris Dickerson talked to the students about patriotism and what it means to be a patriot. The employees of the Chadron State College Dining Service donated three crates of school supplies to Chadron Primary School. According to Ms. Deb Kuskie, CSC Dining Office Manager, the employees were able to choose the supplies that they wished to donate. The supplies included crayons, pencils, markers, notebooks, lined paper, composition books, folders, scissors, glue, glue sticks, and kleenex . The supplies are being distributed to those students who need them. This is the second year that school supplies were donated by the dining service employees. Last school year the employees donated backpacks full of school supplies. Chadron Primary School Staff and Students would like to thank the dining service employees for their generosity. The school supplies are greatly appreciated. 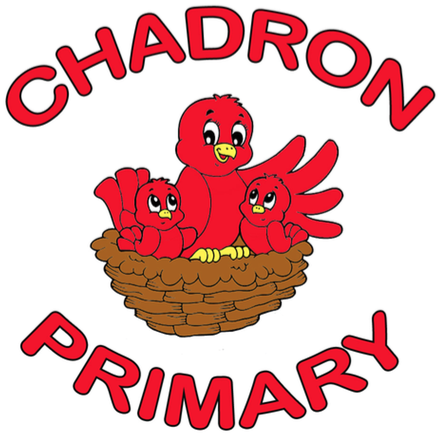 Chadron Primary will host an Open House on Thursday, September 10th. This year's Open House will be using a format similar to last year's Second Grade Parent-Teacher Conferences. Each classroom teacher will give a presentation in their classroom for the parents of their homeroom students. In addition, the First Grade teachers will give a presentation for the parents of the students in their reading group. Due to the fact that the teachers need parents' attention, it is requested that parents not bring their children. However, if bringing their children is the only way that parents can attend these important sessions, some supervision will be provided. When the classroom teachers are not presenting information, they will be conferencing with some of their students' parents. 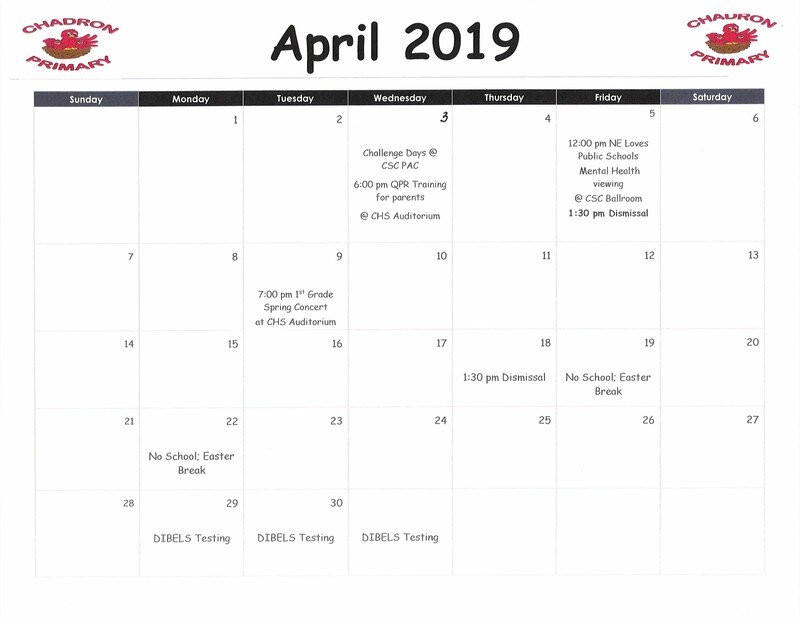 If parents have not been contacted for a conference, they will have an opportunity to conference on October 19th or October 20th if their child's classroom teacher and/or reading teacher determines that one is necessary or if a parent requests a conference. Details will be sent out at a later date. The schedule for the Open House follows. Parents only need to attend the session that pertains to their child. We hope that all parents can attend this event to gain important information about their child's classroom expectations, our curriculum and assessments and how they can best assist their child in making this school year a successful one.